Houston is home to thousands of black Americans, and February is when the United States officially celebrates the rich history and numerous historical contributions of the black community for Black History Month. Houston has tons of events and attractions to honor the month, including a few ways in which kids and families can participate in this annual celebration of culture. Organized by a community newspaper, The Houston Sun, this parade is a celebration of Black history in Texas and across the United States, featuring hundreds of people of color marching down the streets of downtown Houston. The event typically takes place in the morning on the third Saturday in February. Each year, the event features a new theme highlighting major milestones in history, such as African-American soldiers in times of war. The parade starts downtown off of Texas Avenue and Hamilton Street near Minute Maid Stadium and is free and open to the public. Decades before slavery had been abolished and the Civil War was won, black Americans served in the United States military fighting for the very liberties they, themselves, did not yet have. 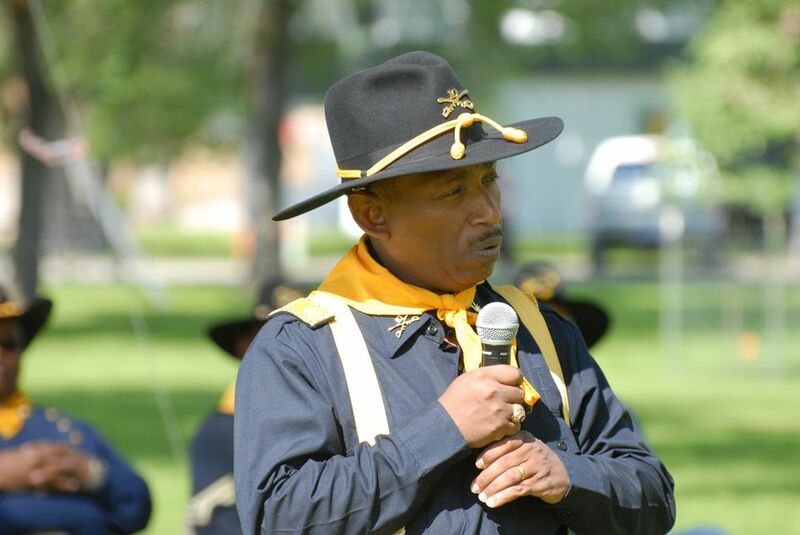 Following the end of the Civil War, the federal government formed all-Black infantry units whose soldiers would become known as the Buffalo Soldiers. Located on the border between Midtown and the Museum District, this museum is dedicated to the sharing the stories of the brave Black men who served in the military, including many who won the prestigious Medal of Honor and features several rooms worth of artifacts, uniforms, and equipment used by the soldiers themselves. Although the museum has free admission on Thursdays from 1 to 5 p.m., you can take in the many exhibits any day you want. In 2019, though, you may also want to consider attending the annual Night at the Museum Gala, which will take place on February 22 starting at 6 p.m. The Houston Museum of African American Culture (HMAAC) is a cultural hub where locals and visitors alike can explore and interact with the work of prominent figures and historical events important to the African-American community. Exhibitions rotate frequently and feature artists and storytellers as well as discussions on current events and shared Black experiences. The museum is open Wednesdays through Saturdays throughout the year, and admission is always free. Just down the street from the Buffalo Soldiers Museum sits another collective for Black history and culture: the Community Artists' Collective. This underrated Museum District attraction showcases artwork, crafts, and jewelry of Black Americans, with new work put on display each season. While the exhibitions are certainly worth a visit, the heart and soul of the collective is its dedication to the community. A prominent program at the collective is the collective's "quilt circle," a social group where participants can come together to share stories and experiences while they learn or work on a variety of crafts, including quilting, crocheting, knitting, or embroidering. The site also hosts after-school programs and performing and visual art workshops, as well as other child-friendly activities. Located right off the Metrorail Red Line train at the Ensemble/HCC light rail stop, the Ensemble Theater is a Midtown staple and a favorite attraction among theater-loving locals. The theater was launched in the 1970s as a means to showcase the artistic expression of Black Americans and entertain and enlighten diverse communities. In the decades since, it has become the oldest and largest professional Black theater in the southwestern United States. Shows here shed light on the Black experience and often are the works of local and regional playwrights and artists. The theater also houses a Young Performers Program, where kids ages 6 to 17 years gain experience and training in the theatre arts. Ticket prices vary but typically run from $30 to $50. Every February, the Houston Public Library hosts a series of events and activities featuring Black authors, poets, and filmmakers. In addition to adult-focused programs, the library hosts kid-friendly activities including specially themed storytimes, workshops, and writing exercises centered on African-American poetry and the Black writers and poets who have influenced the United States with their words and activism. The featured event for 2019 is a special presentation by poet, activist, and author Nikki Giovanni called "A Good Cry: What We Learn From Tears and Laughter," which will take place at the Cullen Performance Hall at the University of Houston Central Campus on February 15 at 7 p.m.
Each year, HCC and its generous sponsors throw the Annual Black History Gala, which raises scholarship funds for Houston Community College students. Past gala keynote speakers include Spike Lee, Soledad O'Brien and James Earl Jones. The gala typically takes place near the end of the month at The Ballroom at Bayou Place, but in 2019, the fundraising event will take place in the Czech Center Museum of Houston on Saturday, February 23 starting at 7 p.m. and will feature Joe Carmouche for an evening of dining, dancing, singing, and discussions with the world-class jazz guitarist.